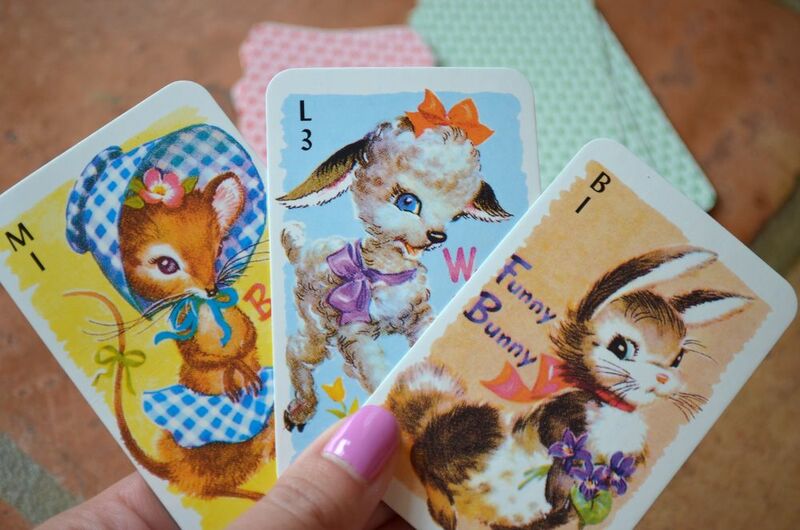 This set of classic children's card games is too cute for words (but I will attempt to use words anyway). These cards are fun and great to travel with. The set comes with four vintage reproduction cards games, appropriate for ages 4+ and costs about $10. Gin Rummy is my favorite card game and Animal Rummy is the baby version of it. This kitten is pretty cute too. Where else will you see "gay dogs"? Playing old maid with my kids is hilarious. They make it sooo obvious when they pick the old maid. It cracks me up. It's a game of chance, wich is great because because it gives the little tots a chance to win too! This circus themed game is not the most socially correct (fat lady & midgets) but darling just the same. This is a fun one too. I like the fast pace of this game...just slap down a match! Do you have any favorite family games that I MUST have?